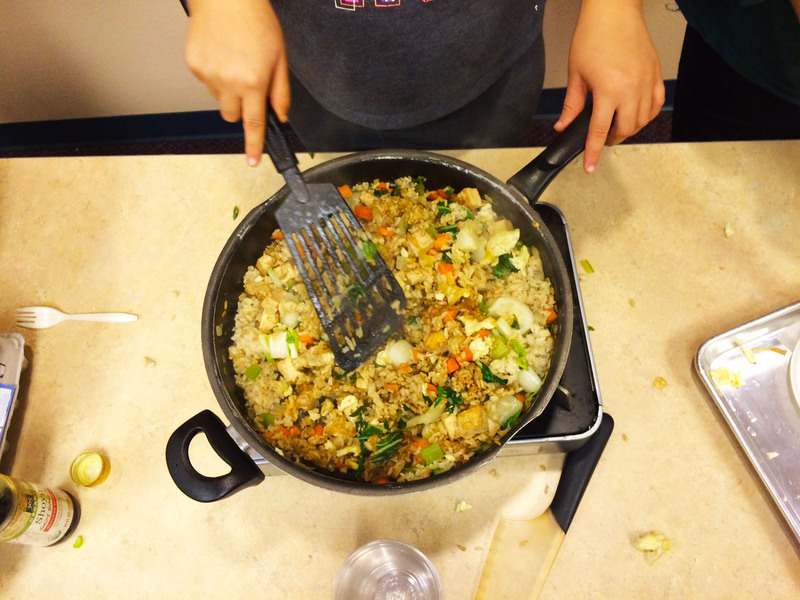 This post by Anna Lourie of Solid Ground’s Cooking Matters program originally appeared on the Cooking Matters Blog. However, as we spend the month reflecting on nutrition, it’s important to also consider one of the huge barriers to leading a nutritious lifestyle: food insecurity. The Children’s Alliance estimates that approximately 305,000 Washington state children live in food insecure households. (Food insecurity is a term used to describe households financially stretched to the point where they cannot be certain that all of their members have a consistent, reliable source of food.) Households particularly affected by food insecurity are those headed by single mothers or fathers, African-American or Hispanic households, and households with incomes below the official poverty line. 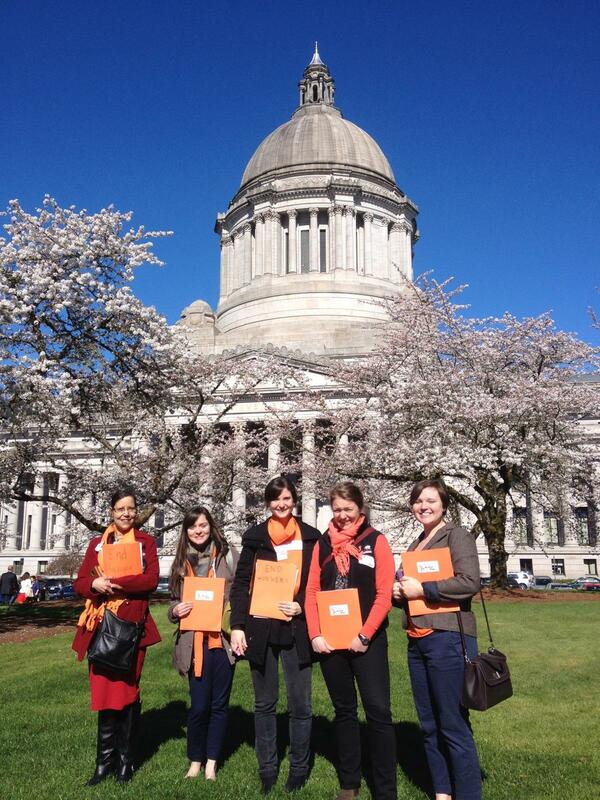 On Monday, Cooking Matters joined concerned citizens, employees of Solid Ground, food bank clients and directors, service providers, urban agriculturalists, nutritionists and members of anti-poverty and hunger organizations from all over the state to speak to legislators in Olympia on behalf of hungry families in Washington. 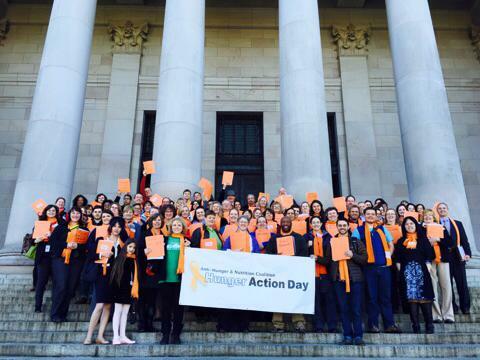 This powerful event, called Hunger Action Day, is organized by the Anti Hunger & Nutrition Coalition and occurs during the legislative session to place emphasis on hunger issues. The event began with an information session in the basement of the Capitol building where we discussed our priorities and shared some staggering statistics about hunger in Washington state. We were shocked to learn that Washington ranks 43rd out of 50 states in connecting low-income students to nutritious school breakfasts. In addition, of the 11,000 legal immigrant families in Washington who rely on State Food Assistance, these families receive only 75 cents to the dollar of food stamp benefits others receive. Are you fired up yet? We sure were. After this information session, we broke into smaller groups to meet with our respective legislators and discuss how to better serve the one in seven Washingtonians who are food insecure. We met with legislators from the 43rd Congressional District, the district where some of our coordinators reside and Solid Ground is located. We didn’t know if we would be able to speak with our elected officials since there were House votes scheduled for most of the day, but we were actually able to speak to two Representatives and two Legislative Assistants about our agenda for this year! It was so amazing to be able to talk about the daily experiences that we have with our participants here at Cooking Matters, and to hear that our elected officials share our passion for ending hunger in Washington. 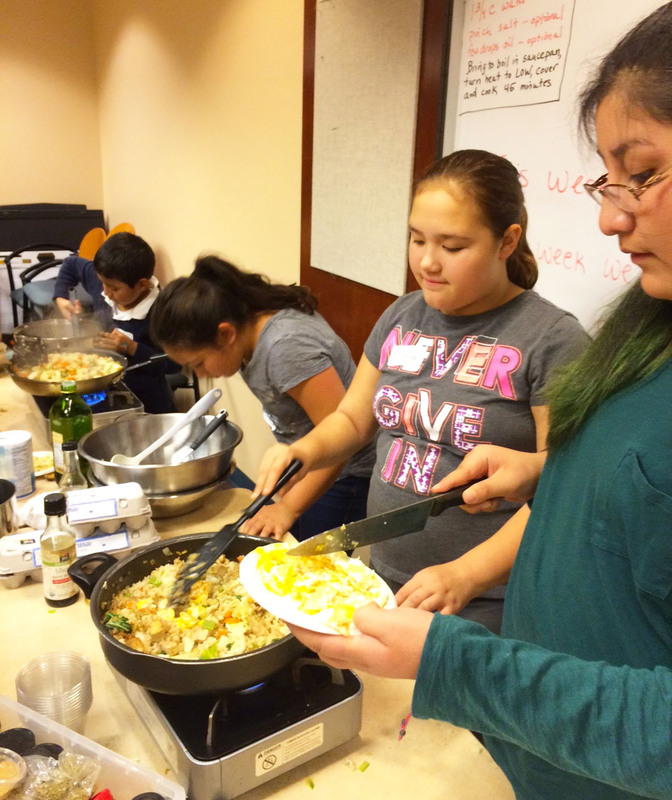 This is why Cooking Matters is so important in the larger context of food justice in our state. To learn more about these issues, please visit the Anti Hunger & Nutrition Coalition’s list of 2015 legislative priorities website.